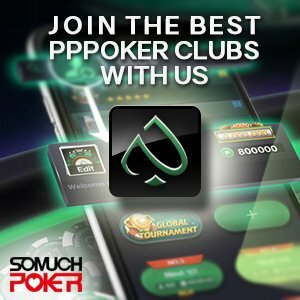 IDNPlay is the largest Asian Poker Network. According to the Pokerscout, it ranks 2nd behind PokerStars and has surpassed 888poker. Most of IDNPlay’s traffic comes from Indonesia and China. As such, the network includes a large number of skins, each of which is aimed at players from different Asian countries, namely, Indonesia, China, Malaysia, Vietnam, Nepal, Thailand, Cambodia, South Korea and others. It’s no secret that poker has been growing in the region and with China having the biggest population in the world, it is also no surprise that IDNPlay is becoming one of the biggest networks in the industry. – Game limits start from Nano stakes up to 100,000/200,000 ($7.5/$15). Games are consistently running on a daily basis on all limits. – Game formats include 4-Max, 6-handed, 9-Handed, and No Limit Hold’em only. – Pot Limit Omaha is not currently being offered and tournaments will be available soon. IDNPlay was primarily designed as a mobile poker client. Games are optimized for players who want to play on Android or IOS on their tablet or phones. The Poker client, however, can be accessed via web browser. – Game currency is in Indonesian Rupiah (IDR). – As for February 2017, the exchange rate is 1 USD = 13339 IDR. 100$ = 1,333,998 room chips. – By default the network offers transfers only through local Asian Banks. Thanks to SMP’s network in Asia, we offer easy transfers via Skrill, Neteller, and additional options to our member players. Take is at 3% without a cap on all limits and games. We offer our players a monthly rakeback paid on the player’s account. Contact us to set the rakeback deal up. Contact us to set up your account. We will provide you a player guide and offer assistance for deposits and withdrawals.